Can I be fired for what I do outside of work? Can an employer fire an employee for activities in which the employee engages outside of work? Like most legal questions, the answer is that it depends. Today’s Long Island employment law blog discusses whether New York employees are protected for engaging in activities outside of work. Generally speaking, New York employees are considered at-will, meaning employers can fire employees for any reason or no reason, as long as the reason is not otherwise illegal. This rule gives employers broad discretion in deciding whether to terminate an employee. New York Labor 201-d, however, identifies several reasons for which an employer may not terminate an employee. 201-d prohibits employers from terminating an employee, refusing to hire or promote an employee, or otherwise discriminate against an employee for an employee engaging certain activities outside the workplace. Those activities include participating in political activities, an employee’s “legal use” of consumable products, an employee’s “legal” recreational activities, or participating in union activities. Notably, the law does not protect employees who engage in such activities during work time. 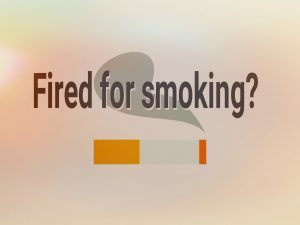 For example, if an employee’s boss sees the employee outside of work on a non-work day and the employee is smoking, it could be unlawful for the boss to fire the employee because the employee smokes. But, if the employee left his assigned work station during working hours to smoke, and left without permission, the employer could lawfully fire the employee. Similarly, an employee could support a particular political candidate. If the employee’s boss supported a different candidate, the boss could not fire that employee for that reason. But, if the employee made calls while at work trying to fund raise for his candidate, the employer could lawfully fire the employee. Like most rules of law, there are plenty of exceptions. For example, an employer make employment decisions based on its good faith belief that the decision is based on an established substance abuse program or policy. Further, if the decision is based on an employee’s illegal conduct or because of poor performance, the employment action may be legal. The employer may also take action against an employee if the employee’s conduct implicates issues related to the employer’s trade secrets or otherwise proprietary information. An emerging question which courts may face is how 201-d relates to an employee’s use of recreational marijuana. If, for example, an employee visits a state in which recreational marijuana is legal and uses marijuana, can a New York employer terminate the employee if it finds out about the employee using marijuana in another state? The answer is probably yes. Marijuana remains illegal under federal law and the recreational use of marijuana in New York is also illegal. We will, however, continue to watch this developing area of law. As noted, 201-d is riddled with exceptions. Employees who believe they were terminated for engaging in activities outside the workplace should consult with an experienced Long Island employment lawyer. At Famighetti & Weinick, PLLC we offer free confidential case evaluations. Our Long Island employment attorneys can review the facts of each individual case to determine whether there may be a violation of 201-d. If an employee has been terminated in violation of 201-d, the employee may file a lawsuit to recover damages. To discuss a wrongful termination lawsuit, talk to a Long Island employment lawyer at 631-352-0050.